President Trump meets with Chinese President Xi Jinping at the Mar-a-Lago in Palm Beach, Fla., on April 7. Not all of the president's visitors are made public; advocates want to change that. President Trump will be at his Mar-a-Lago resort in Palm Beach, Fla., for Easter — his seventh of 13 weekends there as commander in chief. Although he conducts business at the Trump Organization estate, it's not always clear with whom. 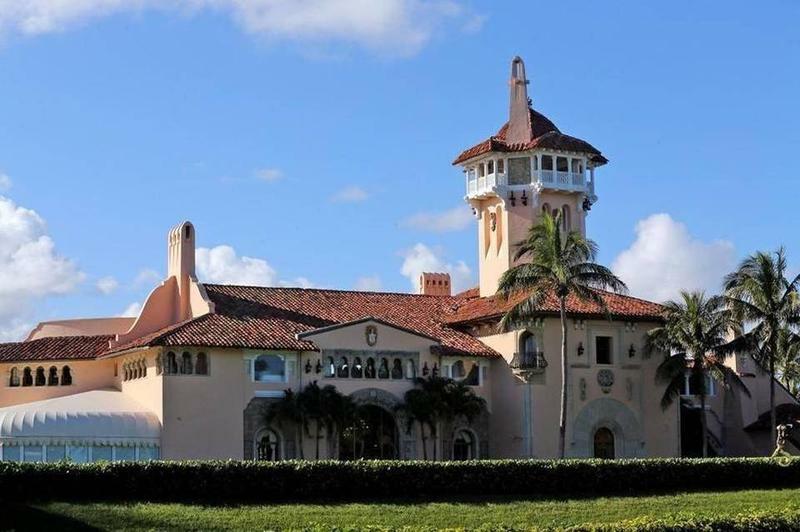 Some government watchdog groups are asking a federal court to compel the Trump administration to release a list of visitors to Mar-a-Lago, as well as to Trump Tower and the White House. Referred to by Trump as the "Winter White House," the private club has about 500 dues-paying members. Over the last few months, in addition to beach and tennis privileges, members have had a front-row seat to important presidential deliberations. Trump says he ordered last week's missile strike on Syria while having dinner with Chinese President Xi Jinping. The Palm Beach Daily News reports other guests were nearby, including Boston Celtics great John Havlicek, who was celebrating his birthday with friends. Two nights later, Trump was chatting with club members and guests, including billionaire and political activist David Koch, who was there with his brother Bill. The head of Citizens for Responsibility and Ethics in Washington (CREW), Noah Bookbinder, says although it's a private club, Americans have a right to know who's visiting Mar-a-Lago while the president is there. "If anything," he says, "it's more important to know who's there because you don't have the usual protections and procedures that you have with the White House." During the Obama administration, the White House posted online logs of the people who visited the White House. It's a practice that began after a series of lawsuits filed by CREW. So far, the Trump administration hasn't made any White House visitor logs available. CREW and other groups, including the National Security Archive, have filed Freedom of Information requests for the visitor logs since Trump took office. This week, they took their request to federal court in New York and extended it to include visitor logs for Mar-a-Lago and Trump's Manhattan residence, Trump Tower. But, former Secret Service official Jonathan Wackrow says, "they're asking for something that does not exist." Wackrow, now with Risk Assistance Network and Exchange, says the visitor logs for the White House are part of a complex system that includes background checks and personal data. That kind of information, he says, isn't gathered at other places the president stays, like Mar-a-Lago. "It's a private facility. It's not a government controlled facility at all. It's a temporary location where the president goes to," Wackrow says. "So even the security posture there is set up on an ad hoc basis." The Secret Service screens for weapons and other direct threats to the president, Wackrow says, but otherwise is not involved in admitting guests at Mar-a-Lago. 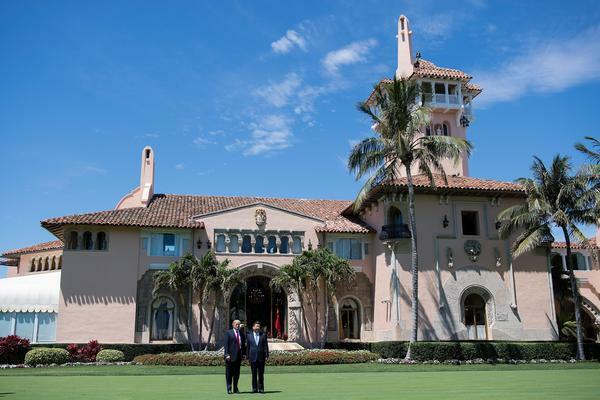 CREW's Bookbinder says given Trump's ongoing use of Mar-a-Lago and the important meetings taking place there, the administration needs to begin maintaining and releasing visitor logs. "It needs to be essentially treated the same way the White House treats its records," he says. "And so, if it's not already happening, they need to very quickly come up with a policy to make sure it does start happening." Wackrow says maintaining the visitor access system at the White House costs the Secret Service millions of dollars each year and is not easily replicated at Mar-a-Lago, Trump Tower or other places the president stays. For the seventh time since taking office, President Trump will spend this weekend at Mar-a-Lago in Palm Beach, Fla. Government watchdog groups want a federal court to force the Trump administration to release a list of visitors to that resort as well as to the White House and Trump Tower. NPR's Greg Allen reports. GREG ALLEN, BYLINE: Trump likes to call it the Winter White House. Although of the Trump Organization owns it, Mar-a-Lago is a private club with about 500 dues-paying members. Over the last few months, in addition to beach and tennis privileges, members have had a front-row seat to important presidential deliberations. Trump says he ordered last week's missile strike on Syria while having dinner with Chinese President Xi Jinping at Mar-a-Lago. The Palm Beach Daily News reports other guests were nearby, including Boston Celtics great John Havlicek, who was celebrating his birthday with friends. Two nights later, Trump was chatting with club members and guests, including billionaire and political activist David Koch, who was there with his brother, Bill. The head of Citizens for Responsibility and Ethics in Washington, Noah Bookbinder, says although it's a private club, Americans have a right to know who's visiting Mar-a-Lago while the president is there. NOAH BOOKBINDER: If anything, it's more important to know who's there because you don't have the usual protections and procedures that you have with the White House. ALLEN: During the Obama administration, the White House posted online logs of the people who visited the White House, a practice that began after a series of lawsuits filed by CREW. So far, the Trump administration hasn't made any White House visitor logs available. CREW and other groups have filed Freedom of Information requests for the visitor logs since Trump took office. This week, they took their requests to federal court in New York and extended it to include visitor logs for Mar-a-Lago and Trump's Manhattan residence, Trump Tower. JONATHAN WACKROW: They're asking for something that does not exist. ALLEN: Jonathan Wackrow is a former Secret Service official. He says the visitor logs for the White House are part of a complex system that includes background checks and personal data. That kind of information, he says, isn't gathered at other places the president stays, like Mar-a-Lago. WACKROW: It's a private facility. It's a temporary location where the president goes to, so even the security posture there is set up on an ad hoc basis based upon presidential travel. ALLEN: Wackrow says the Secret Service screens for weapons and other direct threats to the president but otherwise is not involved in admitting guests at Mar-a-Lago. Bookbinder with CREW says given Trump's ongoing use of Mar-a-Lago and the important meetings taking place there, the administration needs to begin maintaining and releasing visitor logs. BOOKBINDER: It needs to be treated essentially the same way that the White House treats its records. And so if it's not already happening, they need to very quickly come up with a policy to make sure that it does start happening. 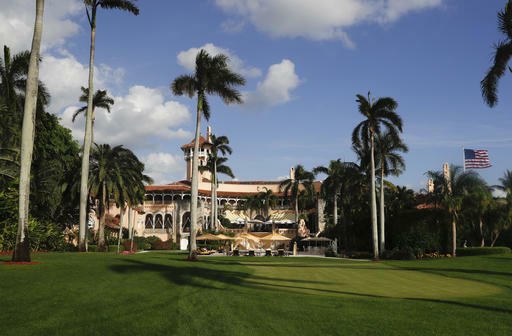 ALLEN: Wackrow says maintaining the visitor access system at the White House costs the Secret Service millions of dollars each year and is not easily replicated at Mar-a-Lago, Trump Tower or other places the president stays. Greg Allen, NPR News, Miami. (SOUNDBITE OF BEYONCE SONG, "EGO") Transcript provided by NPR, Copyright NPR. FACT CHECK: Do Trump's Mar-a-Lago trips cost $3 million? WASHINGTON — With President Donald Trump making his seventh presidential trip this weekend to his Mar-a-Lago resort in Florida, government watchdogs and Democrats are once again seeing dollar signs: namely, $3 million. That's a widely used estimate of what each journey costs taxpayers. The figure comes from a government report on a trip President Barack Obama made to Palm Beach, Florida, but the report's author tells The Associated Press that it's a mistake to apply those findings to Trump's travel. President Donald Trump arrives in Palm Beach Thursday afternoon for meetings at his Mar-a-Lago estate, dubbed the Winter White House, with Chinese President Xi Jingping. 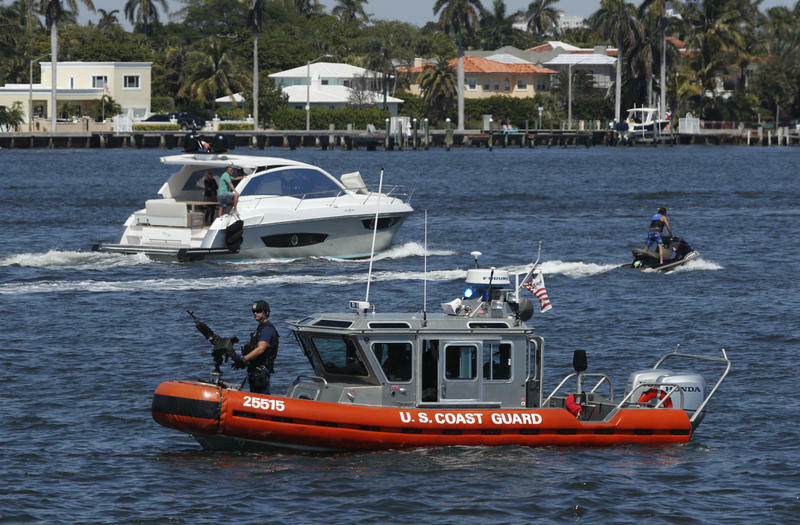 The Palm Beach County Sheriff’s Office is prepared for a major security operation, with not one but two world leaders in town this weekend. 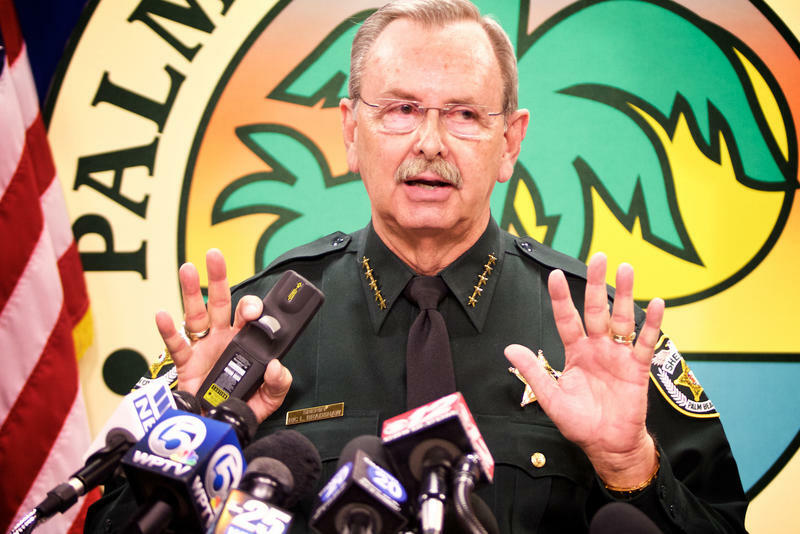 Palm Beach County Sheriff Ric Bradshaw says it’s the biggest security operation he’s ever run. And he wants to be clear. Protesting? OK. Civil disobedience? No. “We are not going to tolerate any civil disobedience, throwing of objects or any other type of disorderly conduct whatsoever,” said Bradshaw. President Trump and Chinese President Xi Jinping arrive Thursday afternoon. Mar-a-Lago or Trump Tower: Could a federal law force Trump to choose? Out-of-towners flock to Palm Beach in the winter. The gentle sounds of the sea lapping the shore, the lush green golf courses, the shopping, and the winter temperatures in the 70s and higher attract snowbirds from all over the country.